Do you have some money you need to invest for a short period of time? Maybe you’re saving up for a house and want to earn a little bit of return while you build up your down payment. Or you’re planning a big vacation next year but don’t want the money to just sit in your checking account. Where is the best place to store this money to generate a return on your investment in the short term? Luckily, you have a few options. Liquidity. Do you need to be able to pull the money out instantaneously? Return. Are you looking to generate just a little bit of return or are you looking for sizable gains on a short time horizon? Fees. Unless you are earning huge returns you want to minimize or eliminate fees all together. Capital Preservation. Do you want to be 100% certain you will get your initial investment back or are you willing to risk some to get a higher return? If you aren’t planning on saving the money for a long period of time (5+ years) I think one of the best places to keep it in the short term is in an online savings account. These accounts are tied to institutions with little or no physical bank branch presence. This lack of overhead saves the bank a ton of money and allows them to offer higher interest rates. Even with the Federal Reserve keeping interest rates at historic lows you can earn returns of around 0.8% on your savings. These accounts are best for: liquidity (you can withdraw funds at any time), fees (you should never pay a fee with an online savings account unless you somehow overdraw the account), and capital preservation (assuming you open an account with FDIC coverage). A Certificate of Deposit or CD used to be one of the best short term investments around. You can pick a term ranging from 1 month to multiple years and lock in your interest rate for that time period. It’s like a savings account that you lock in the interest rate for the stated time period. However, with interest rates so low it usually doesn’t make sense to lock in your funds for multiple years at such low rates. And most bank’s best CD rates won’t beat online saving account rates. If you can find a competitively priced CD for the time period you need, it can make sense. Otherwise, stick with the liquidity of an online savings account. These accounts are best for: capital preservation (assuming you open an account with FDIC coverage and don’t withdraw from the CD before the maturity date). Money Market Accounts or MMAs are an interesting mix of part savings account and part checking account. It is like a savings account in that you generate a better return than a checking account, but it adds in the twist that you can write up to six checks per month against the account. Since MMAs are not transaction accounts you are limited to six total transactions per month as you would with any other savings account. Like savings accounts, MMAs are best for: liquidity (you can withdraw funds at any time), fees (you should pay minimal or no fees for an MMA), and capital preservation (assuming you open an account with FDIC coverage). If you’re looking for more return in exchange for taking on additional risk you can consider short term bond mutual funds or ETFs. These investments can lose value unlike the other options above. However, they can generate significantly higher returns, too. It usually doesn’t make sense to hold your money in a bond investment unless you plan to hold the investment for at least 12 months. Selling before 12 months will generate short term capital gains tax which is significantly higher than long term capital gains tax. The return on bond funds isn’t fixed like it is with a savings account, CD, or MMA. Normally you would expect a bond investment to earn 2-6% through a combination of dividend yield and investment return. 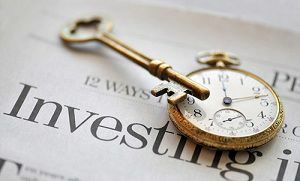 These investments are best for: liquidity (technically you could sell your bond investments whenever you needed them so the investment is liquid, however you might be forced to sell at a time where you lose money on the investment), and return (you should generate higher returns with bond investments than with fixed interest rate accounts). I think your suggestions are right on; it’s just so painful to earn almost nothing through these vehicles. Hopefully though the days of 0% interest money market accounts are nearing an end.